Quang Ninh is like a miniature Vietnam, beautiful mountains, forest and sea. The beauty of the beaches here is what keep the foot of travelers. Just explore some of the best beaches yourself to have great experiences, beautiful memories of the scene and people of Quang Ninh. Tra Co beach in my opinion is the most beautiful beach in Vietnam. It has some of the best: longest coastline, the closest to the border, the most pristine beach, the most romantic beach...The white sand beach stretches winding with a blue all year round, increasingly attract large numbers of tourists. The lyrical landscape setting at sunrise or dawn in the horizon. Coming here, you can also go fishing with the fishermen, catching squid at night, the seafood in Tra Co is diverse, always fresh and attractive to customers. 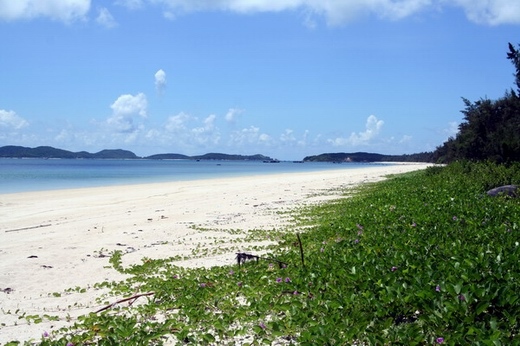 Come once to the beach of Tra Co, the pristine beauty and tranquility will calm yourself down. Travel along the coast of Tra Co you can go to the tip of Sa Vi, and don't forget to take a photo in memory of marking your footsteps on the land of sun and wind. Minh Chau beach is also full of charm. This place is considered a "Hawaii" of Vietnam, because this pearl island is far away from the mainland, Minh Chau beach has not been much explored, let you feel like being exploring a new land. The water of the sea always has a turquoise color, very calm waves, pure white sand. There is also a diverse ecosystem of plants, filled with fresh air. Coming to Minh Chau beach on holidays you can also burn fire with local people, participate in cultural activities with them, enjoy a cup of wine pineapple wine, fresh seafood...wonderful moment. 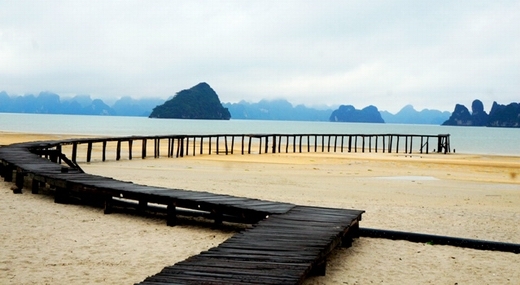 Few people know this beach however it is one of the most beautiful island beaches in the Gulf of Tonkin. 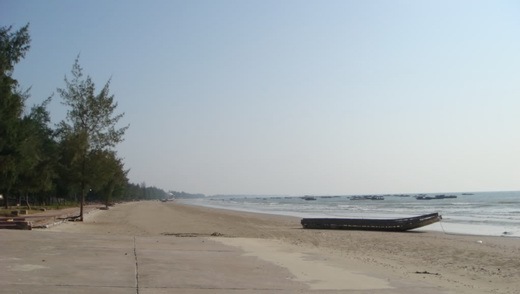 Truong Trinh beach is located in the east of Ngoc Vung island, the beach is 2.9km long with flat white sand, clear water, cool, gentle wind, the beach is bending like a wobbly moon, leaning on the casuarina forest. 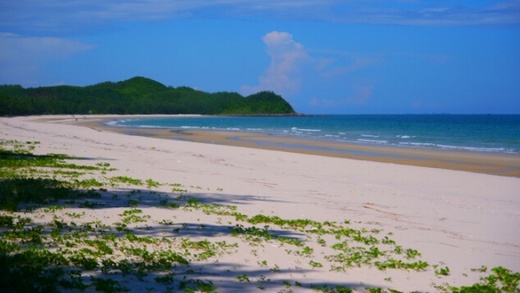 Sitting on the white sandy beach visitors can enjoy the cool breezes from the Van Don sea. In addition to beaching you can stroll around the casuarina forest, visit Uncle Ho Memorial site in the center of the island. Located on the edge of the beautiful Bai Tu Long bay, in recent years, Bai Dai eco-tourism resort has become an attractive destination for visitors when coming to Van Don island district. Morning cool weather, fresh air, walking along the shore to enjoy the majestic nature, watching the wild mountains, take a look at long distance is Bai Tu Long Bay with undulating rock islands, like a charming picture. At the back is gentle mountain like a dragon tail embracing the bay. Van Chai beach is long with strong waves for playing with the waves. The rock field system in Van Chay is ideal for sunset viewing. It would really be a pity if you go to Co To without visiting Van Chai beach. The blue color of the sea, the green of the trees in sunshine, the wide beach suitable for sports activities. The waves here is big, the tide rising rapidly, filling the umbrellas of palm leaves. It would be quite romantic for the couples to sleep on the beach, under the moonlight and the sound of waves hitting on the shore. 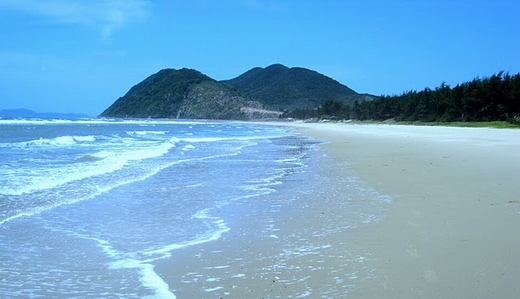 Above is a list of the most beautiful beaches in Quang Ninh province. These places attract a large number of tourists every year. Why don't you try to explore the charm of the sea of Quang Ninh? you are guaranteed to enjoy the sould of freedom, liberty, all the worry of life will disappear in the waves.the worry of life dissipated in waves. We are happy to send you our impressions on our excellent trip to Halong Bay with your company. The organization and monitoring of our trip was impeccable, thanks to our friendly and excellent guide Minh not forgetting the super driver Dzung. Address: 173 - An Duong Vuong street, Hanoi, Vietnam.